Match ends, Valencia 0, Barcelona 2. Second Half ends, Valencia 0, Barcelona 2. Dangerous play by Luciano Vietto (Valencia). Corner, Valencia. Conceded by Samuel Umtiti. Foul by Philippe Coutinho (Barcelona). Substitution, Barcelona. Yerry Mina replaces Gerard Piqué because of an injury. Goal! Valencia 0, Barcelona 2. Ivan Rakitic (Barcelona) right footed shot from the centre of the box to the bottom left corner. Assisted by Luis Suárez. Hand ball by Simone Zaza (Valencia). Corner, Valencia. Conceded by Sergi Roberto. Simone Zaza (Valencia) is shown the yellow card. Attempt missed. Simone Zaza (Valencia) header from the centre of the box is too high. Assisted by Gonçalo Guedes. Attempt saved. José Gayá (Valencia) right footed shot from very close range is saved in the centre of the goal. Assisted by Simone Zaza with a headed pass. Attempt saved. Philippe Coutinho (Barcelona) right footed shot from outside the box is saved in the centre of the goal. Assisted by Jordi Alba. Substitution, Valencia. Rúben Vezo replaces Ezequiel Garay because of an injury. Attempt missed. Ivan Rakitic (Barcelona) right footed shot from the right side of the box misses to the left. Attempt blocked. Ivan Rakitic (Barcelona) left footed shot from the right side of the box is blocked. Assisted by Paulinho. Attempt blocked. Luciano Vietto (Valencia) left footed shot from the left side of the box is blocked. Assisted by Carlos Soler. Attempt missed. Gonçalo Guedes (Valencia) header from the centre of the box is just a bit too high. Assisted by Simone Zaza. Substitution, Barcelona. 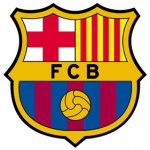 Paulinho replaces Andrés Iniesta. Attempt blocked. Philippe Coutinho (Barcelona) right footed shot from the centre of the box is blocked. Assisted by Ivan Rakitic. Corner, Barcelona. Conceded by Martín Montoya. Attempt blocked. Jordi Alba (Barcelona) right footed shot from the centre of the box is blocked. Attempt saved. Lionel Messi (Barcelona) left footed shot from the centre of the box is saved in the centre of the goal. Assisted by Luis Suárez. Attempt missed. Carlos Soler (Valencia) left footed shot from outside the box misses to the left following a corner. Corner, Valencia. Conceded by Andrés Iniesta. Attempt blocked. Daniel Parejo (Valencia) right footed shot from outside the box is blocked. Assisted by Carlos Soler. Philippe Coutinho (Barcelona) wins a free kick on the right wing. Foul by Simone Zaza (Valencia). 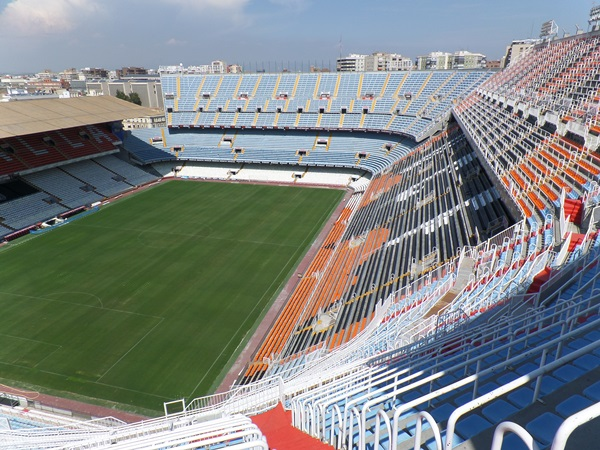 Offside, Valencia. Martín Montoya tries a through ball, but Geoffrey Kondogbia is caught offside. Attempt blocked. Gonçalo Guedes (Valencia) right footed shot from outside the box is blocked. Assisted by Luciano Vietto. Substitution, Valencia. Gonçalo Guedes replaces Francis Coquelin. Substitution, Valencia. Carlos Soler replaces Rodrigo Moreno. Attempt missed. Luis Suárez (Barcelona) right footed shot from the centre of the box misses to the right. Assisted by Lionel Messi. Goal! 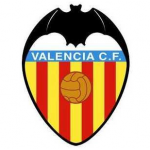 Valencia 0, Barcelona 1. Philippe Coutinho (Barcelona) right footed shot from the right side of the six yard box to the bottom left corner. Assisted by Luis Suárez with a cross. Attempt missed. Simone Zaza (Valencia) header from the right side of the six yard box misses to the left. Assisted by Daniel Parejo with a cross following a corner. Attempt blocked. Rodrigo Moreno (Valencia) left footed shot from outside the box is blocked. Assisted by Daniel Parejo. Substitution, Barcelona. Philippe Coutinho replaces André Gomes. Second Half begins Valencia 0, Barcelona 0. First Half ends, Valencia 0, Barcelona 0. Attempt missed. Geoffrey Kondogbia (Valencia) left footed shot from a difficult angle on the left is close, but misses to the left. Assisted by Francis Coquelin. Attempt saved. Luis Suárez (Barcelona) left footed shot from the left side of the box is saved in the centre of the goal. Assisted by Ivan Rakitic. Foul by Luciano Vietto (Valencia). Corner, Valencia. Conceded by Gerard Piqué. Luciano Vietto (Valencia) wins a free kick in the defensive half. Attempt missed. Lionel Messi (Barcelona) left footed shot from outside the box is close, but misses the top left corner. Assisted by André Gomes. Attempt saved. Rodrigo Moreno (Valencia) left footed shot from outside the box is saved in the centre of the goal. Assisted by Luciano Vietto. Attempt missed. Luciano Vietto (Valencia) right footed shot from the centre of the box is high and wide to the right. Assisted by Martín Montoya. Attempt missed. José Gayá (Valencia) left footed shot from more than 35 yards is too high. Rodrigo Moreno (Valencia) hits the bar with a header from the centre of the box. Assisted by José Gayá. Attempt saved. Francis Coquelin (Valencia) right footed shot from outside the box is saved in the centre of the goal. Assisted by Simone Zaza.